48th Divisional Ammunition Column, 48th Division, Royal Field Artillery, T.F., B.E.F. Next of Kin: Son of Francis Joseph and Matilda Mary O'Shea of St Joseph's Cottage, Newtown Road, Malvern Link. Gnr Denis O’Shea (the eldest son of Sgt Francis (of the Royal Defence Corps) and Mrs O’Shea, St Joseph’s Cottage, Newtown) has died of influenzal pneumonia after a short illness. He was 25. He was mobilised as a member of the Territorial Artillery in August 1914 and served in France from April 1915. Until May 1916 he served with the 2nd Brigade Ammunition Column (BAC) which was responsible for keeping the Artillery Brigade supplied with ammunition and had been based at Malvern before the War. 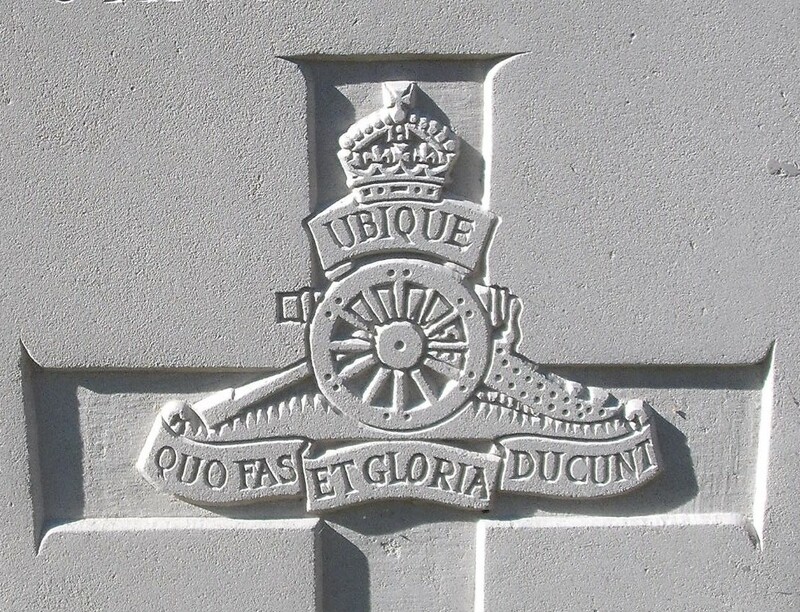 On 15 May 1916 the three BACs of the Division were merged to form a Divisional Ammunition Column (DAC). O’Shea continued to serve with 2 Section, 48 DAC when the Division moved to the Asiago Plateau, Italy in November 1917. The troops in this area suffered particularly badly from influenzal infections throughout the 1918 campaign, and O’Shea succombed to the complications from the virus in October; after the Austrians, against whom the Allies had been fighting here, had surrendered. His younger brother, who initially served with the same Territorial unit as Denis was gassed and wounded in France while serving with the Royal Field Artillery some months earlier – he however, survived the war. Letters and drawings sent from Denis O’Shea to his parents are on display at Malvern Museum, located in the Abbey Gateway, Great Malvern.